Raise your hand if you were taught that Columbus proved to doubters that the earth was round. Our teachers were wrong. By the 5th century BC at the latest, the Greeks knew the earth was spherical. By 200 BC, Eratosthenes of Cyrene had made a pretty good estimate of its circumference using some creative means worth reading about here. Even after the fall of Greece and then the fall of Rome, even through the Middle Ages, the knowledge that the earth was spherical was never forgotten. Think about it for a couple of minutes: if no one had ever told you the earth was round, could you figure it out for yourself? Have you ever been at the beach and watched the ships going off in the distance? You may have noticed that they start to disappear as they reach the horizon, even appearing to sink into the sea. Ancients on the shore saw the same thing. And the sailors on the boats saw the land disappear over the horizon and then, later on in the voyage, the land to which they were going appearing slowly from the horizon ahead. That was pretty clear-cut evidence that they weren’t going to fall off an edge. Ptolemy noted in his Almagest (finished about 150 AD) that when sailing towards mountains they seemed to rise out of the sea, which indicated a spherical earth. Almagest is a comprehensive textbook of the mathematics of geometry and astronomy. I have it as part of my Great Books of the Western World set. I won’t pretend I’ve read it, but I can look right to the table of contents and see that in Book One (of 13 total), Chapter 4 is entitled, “That also the Earth, Taken as a Whole, is Sensibly Spherical.” I’m going to put what Ptolemy had to say in that chapter at the bottom of this post because it’s relevant and philosophically interesting, but it’s pretty dry. I’ll spare you if you don’t feel like going through it. If you’ve ever seen a lunar eclipse, you’ve seen that the earth’s shadow on the moon is always round. A flat earth would have a flat edge during a partial lunar eclipse. A spherical earth (or ball) always casts a round shadow. So that’s more evidence. Coincidentally, Columbus used lunar eclipses in his navigation. Sailors used the stars to determine their latitude. They noted that the position of the stars relative to the horizon changed as their location changed. If the earth were flat, the star height would be the same everywhere. But I got to wondering: if the earth were flat, how would Columbus’ voyage have proved that it was round? He didn’t get around and back to India. He landed on an unknown island and then later on an unknown continent. The only thing his voyages would have proved is that the flat earth is longer than we originally thought it was. So why did Columbus struggle to get funding for his voyage? Why didn’t people think he could circumnavigate the globe and land in India, thereby skipping the enormous hassle and danger and expense of sailing around Africa (shipwrecks! pirates!) or the enormous hassle and danger and expense of traveling across land (tax collectors! interfering governments! bandits!)? You’ve got to think it would be cheaper and probably safer just to sail across a bunch of empty water to get to India. So what was the argument against sailing west? Earth size. They also knew that sailing ships couldn’t contain enough provisions to keep the crew alive long enough to go that distance. Have you seen how tiny the Niña, the Pinta, and the Santa Maria were? Why did Columbus think the earth was only 17,000 miles in circumference? Well according to at least one source, he never read Ptolemy. He read Pierre d’Ailly, a French astrologer who died in 1420. Pierre d’Ailly based his calculations on those of ancient Greek astronomer Posidonius, who estimated the circumference of the earth at 24,000 miles — so, not terribly far off. But the part of d’Ailly’s work that Columbus read was d’Ailly’s calculation of the distance between the Canary Islands and Japan. The French astrologer estimated it at 10,700 nautical miles. The problem is that d’Ailly’s calculation was written in Arab miles. Columbus made the mistake of assuming the number was in Italian miles — which made the distance only 2,400 nautical miles. Oops. Standard measurements are a really good idea. Apparently Columbus was a really convincing man, because he got Spanish monarchs Ferdinand and Isabella to finance three ships and a crew for his voyage. And he convinced his crew not to mutiny when mile after mile passed without a view of land. And he convinced the natives of Jamaica not to kill him by predicting a lunar eclipse. Also, he was super lucky. So am I, because I get to live in North America. Thanks, Columbus! Why, then, are we told the story that everyone thought the earth was flat and our hero Columbus proved them wrong? Turns out it’s because of the 19th-century equivalent of an urban legend. 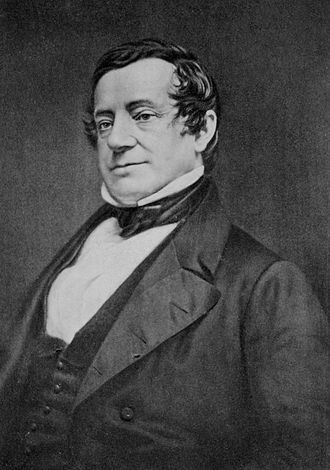 Washington Irving was a popular American writer who penned stories like “The Legend of Sleepy Hollow” (think headless horseman) and “Rip van Winkle.” He also liked to dabble in biography. In 1828, after being invited by the government of Spain to translate some source material on Columbus into English, he published A History of the Life and Voyages of Christopher Columbus. It was enormously popular. Washington Irving had been living in Europe because he found its history romantic. He came back to his native United States to help write his country’s history — even if he had to fudge a little. His pseudo-biography of Columbus created a hero out of a guy who had made a miscalculation and stumbled upon a new continent. What better way to create a hero than to make the discoverer of America a man who braved the Spanish Inquisition and faced down the mistaken clerics and professors at the University of Salamanca to convince a king and a queen that the earth was round and he would prove it? This was a man who had no mercenary ideas, but was sailing on a voyage of faith, a voyage of righteousness. He duked it out against the Catholic Church (Old World) and scored victory for the new American Protestant Christians. By setting our foundation squarely in 1492, Washington Irving instantly gave the United States the provenance of a 336-year history. I encourage you to read Hazlett for “the rest of the story,” as Paul Harvey used to say. 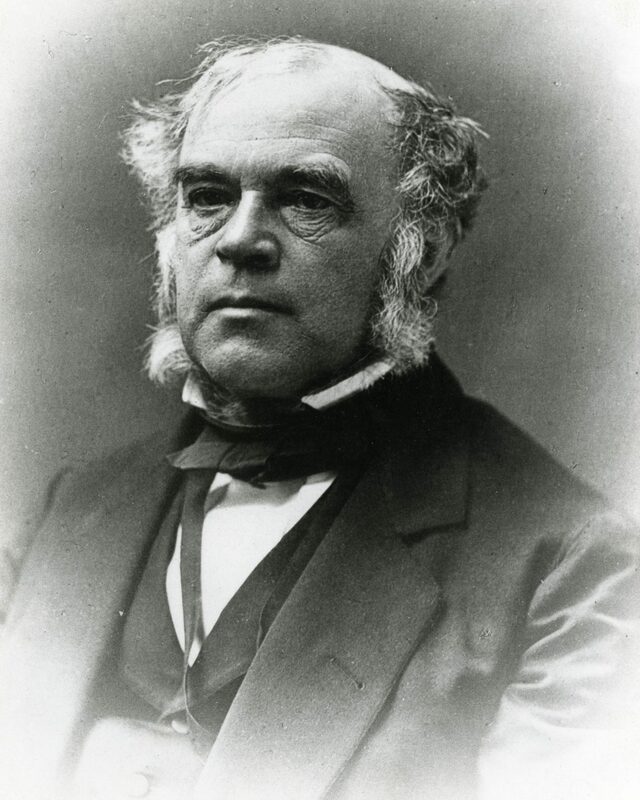 Draper was born in England in 1811, the son of a Methodist preacher. He immigrated to the United States in 1836. He received a medical degree from the University of Pennsylvania and later became a professor of chemistry. He was the first president of the American Chemical Society. By the 1860’s he had moved from publishing works of science to works of history. In 1863 he published A History of the Intellectual Development of Europe in which he embraced the philosophy of positivism, which asserted that truth only exists in scientific knowledge. He was vehemently anti-Catholic, and he can be credited with creating the “Warfare Thesis” — the assertion that religion and science do not mix. That religion, in fact, is anti-science. Quick history of science as a profession: until the 19th century, science was known as natural philosophy. Natural philosophers believed that theology and religious texts were relevant to their field. “Scientists” were trying to establish themselves as a new professional class in the 1800’s and to that end were establishing professional organizations (like the American Chemical Society) and beginning to reject religion in favor of “pure rational thought” that had no room for talk of the divine. Or at least no room for the Catholic Church; it was the Protestant church that was “the twin sister to science,” according to Draper. In 1870 the First Vatican Council met, and the Catholic Church concluded that while human reason is powerful, it is limited because there are some transcendent truths like the Trinity that cannot be understood by reason alone. Draper took the opportunity to quote (often out of context) the conclusions of the Vatican Council in his 1874 book A History of the Conflict of Science and Religion. The book was a huge best-seller, going through 50 printings and translated into 10 languages. In it, Draper assailed the Catholic Church, blaming it from its beginnings to his day for holding back scientific knowledge. He took quotes of Catholic natural philosophers out of context, selectively, to make them seem to say the opposite of what they meant. For one example, he said that St. Augustine (the man who said that Scripture should be interpreted through what we know about nature rather than the other way around, otherwise Christians look foolish to those who understand natural philosophy) was anti-science. The Church was so anti-science, he contended, that it squelched all ideas that the world was spherical. It took Columbus to prove those Catholics wrong. Andrew Dickson White picked up where Draper left off. White was an Episcopalian born in the United States in 1832. He was a professional historian who became the first president of Cornell University. (Today, Cornell undergraduate men with the surname of White are called “Andy” in his honor.) He also was president of the American Historical Association. Let’s just say he had a lot of street cred. Cornell University was one of the first in America to be established as a purely secular university. As its president, White caught a lot of flak over the lack of religious courses at his school. That may have influenced him to publish in 1896 A History of the Warfare of Science with Theology in Christendom. “How did White and Draper get things so wrong? 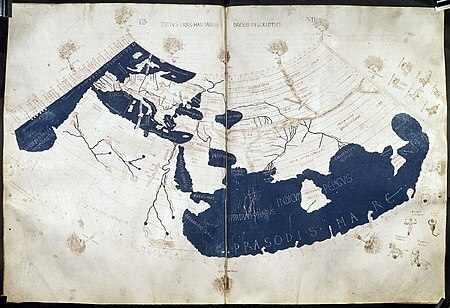 Well, first what they did was to dig up virtually the only two Flat-Earthers from late antiquity: Lactantius in the 3rd century and the extraordinarily obscure Cosmas Indicopleustes, a merchant of the 6th century. Then they made these two unimportant characters fill in for the entirety of intellectuals for 1,000 years. Are they really representative? Not at all. The text of Cosmas, in fact, was not even known in the Middle Ages; it was discovered only in the 18th century and published then. The historical fault here … is called ‘collectivism,’ and that is the unwarrantable extension of an individual’s views to represent the views of a larger group of which he is considered a part. Thus White — and Draper, too, whom White seems to have copied — picks Lactantius and Cosmas as the paradigms, and extends their views to represent all Church writers, which involves ignoring everybody else. We could do the same thing today, of course. If we wanted to say something about what Americans think, we’d go and pick a publication out of the Flat Earth Society, located in California, and conclude from it that Americans think the world is flat. White then tells of a brave Columbus who fought mightily for the revolutionary notion of the earth’s sphericity. And here he helps us out, damning himself, with a footnote that reads, “W. Irving, Life of Columbus.” Yes, indeed, this is Washington Irving of Rip Van Winkle and Headless Horseman fame, who wrote a fictionalized account of Columbus in 1838. Yet White uses it as a historical source. This is an error of critical judgment. It’s the same as if we used The DaVinci Code as if it contained some historical realities. In fact, while White, echoing Irving, tells of a daring Columbus before an ignorant, sneering mob of clerics at the University of Salamanca, the real debate was far different: the debate at Salamanca was about the size of the earth, not its shape. Columbus was rightly criticized for thinking the earth vastly too small… The fear was that Columbus could never hold enough provisions to sail as far as Asia — not that he’d fall off the edge. White then goes on to ridicule the Papal role in settling disputes between Spain and Portugal over possessions in the New World. He says, ‘In 1493, Pope Alexander VI issued a bull laying down a line of demarcation upon the earth as a flat disc. This was hailed as an exercise of divinely illuminated power within the Church.’ White claims that the document, ‘soon passed into the catalog of ludicrous errors’ because, of course, one could get to the west side of the line by sailing east, the long way around. By the 1950’s both Draper and White’s books were discredited by the scientific and historical academic communities, but by then the damage was done. Americans now believe that Columbus proved the earth was round. By the way, remember Pierre d’Ailly, the astrologer whose calculations Columbus used erroneously to “prove” that the earth was smaller than it is? He was a cardinal in the Roman Catholic Church. Oh, the irony. If you’re still reading and you want to know what Ptolemy said about the sphericity of the earth, here it is. Edit: I stumbled upon this image today. It’s a 14th-century copy of an illuminated manuscript done in the 1100’s. If one man goes east and the other goes west, where do they meet? Very interesting material and topic. It’s also intriguing to me that you chose to write a full-fledged essay rather than the expected (and adored) insights into family and life. Kudos. Don’t you just love when people invent history to fuel their own silly worldview?